The new ŠKODA SCALA has let us take a look at its interior, featuring a large infotainment display protruding from the dashboard, new materials, and the largest luggage compartment for a car in the C-segment. 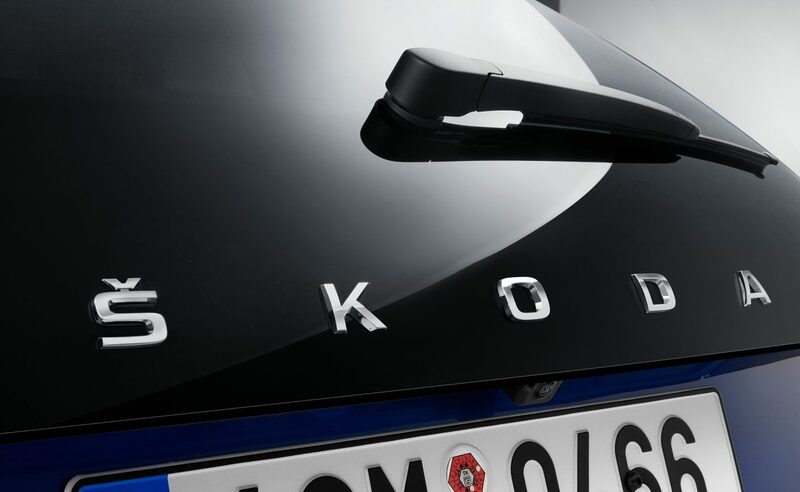 This upcoming compact model will be the first ŠKODA to have the latest-generation infotainment system complete with a free-standing display positioned in the driver’s immediate field of vision. The free-standing display is positioned high up and framed by a design line that echoes the contours of the bonnet; below the display, there is also an ergonomic wrist rest for the operation of a touchscreen measuring up to 9.2 inches. ŠKODA SCALA will optionally be available with the Virtual Cockpit, featuring the biggest display in this class (10.25 inches). The soft-foam surface of the instrument panel and door trims incorporating large-scale design textures – some of them three-dimensional to the touch – exudes a high-class, premium feel and features a specific new grain. Customers can order seat upholstery made from sophisticated Suedia microfiber as an option. The SCALA offers a tremendous amount of space thanks to its long wheelbase of 2,649 millimetres. 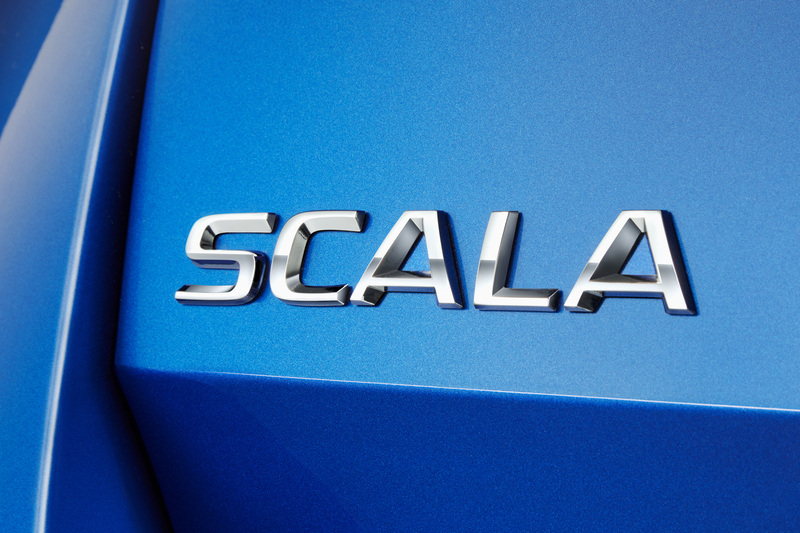 With 467 litres of luggage compartment capacity, the SCALA’s boot establishes a new benchmark in its class. With the rear backrest folded down, the volume of the easily accessible luggage compartment increases to 1,410 litres. ŠKODA Storyboard presents insights from experts involved in the development of the new ŠKODA. What are its strengths and why should we be looking forward to it? “The new SCALA is the first ŠKODA production car to feature a new dynamic, symmetrical design inspired by the shape of the grille. This is a very emotional look that perfectly complements the fresh, much more emotionally designed exterior. 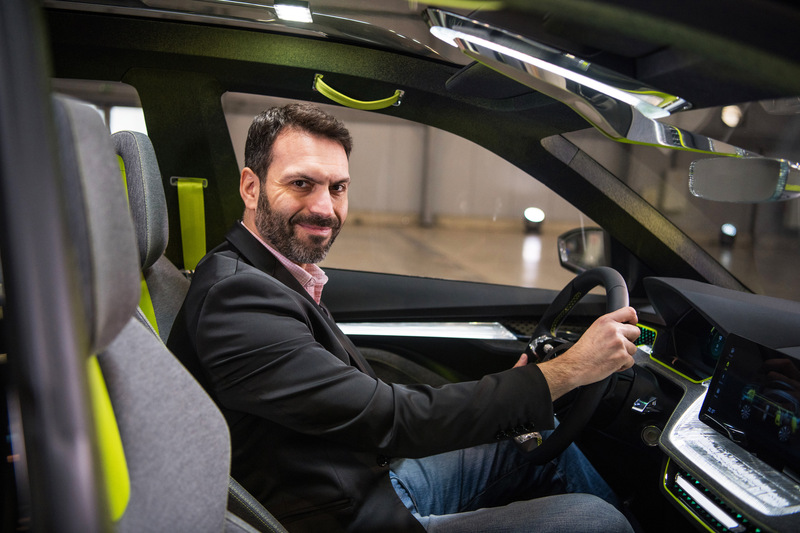 The interior of the new SCALA is a major step forward for the ŠKODA brand, with the digital component of the human-machine interface taking centre stage in the latest version of our Simply Clever cabin,” says Darkoudis. “I especially like the way the main sweeping line of the dashboard creates a natural cradle for the new free-standing screen and how it creates an ergonomic ledge where you can rest your hand and comfortably and precisely operate the touchscreen. I also love how the new free-floating touchscreen is combined with our latest Virtual Cockpit, in which the digital screen replaces the traditional dials in front of the driver. I am also particularly proud of the beautifully contoured and comfortable seats that make the interior such a welcoming place,” he adds. 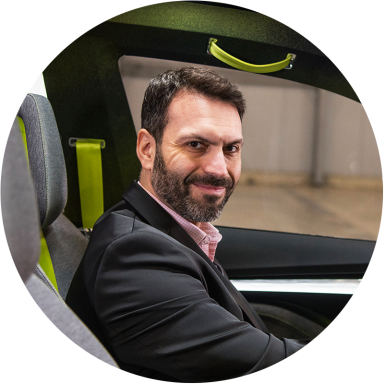 “Customers can look forward to a perfect marriage of Simply Clever features, emotion and advanced digitalisation, resulting in a wholly new level of user friendliness in an increasingly complex digital world,” says Darkoudis as he describes the new model’s advantages.